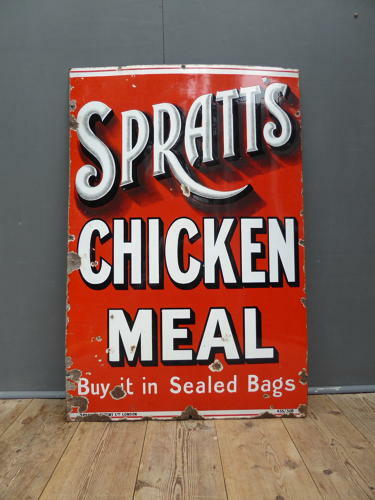 A large vintage enamel addvertising sign for Spratts Chicken Meal. A wonderful, striking piece with vivid colours, wonderful typography & a fantastic bygone look about it. Wear commensurate with age, very good overall with a great gloss.